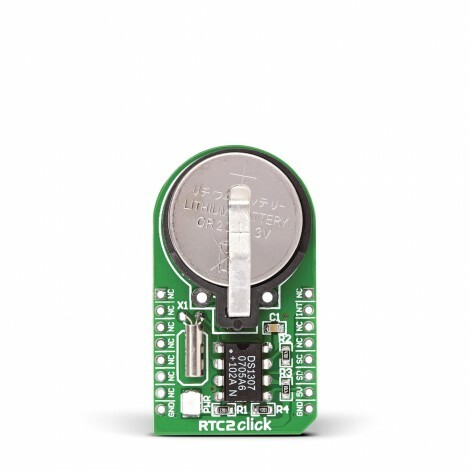 RTC2 Click is an accessory board in mikroBus™ form factor. 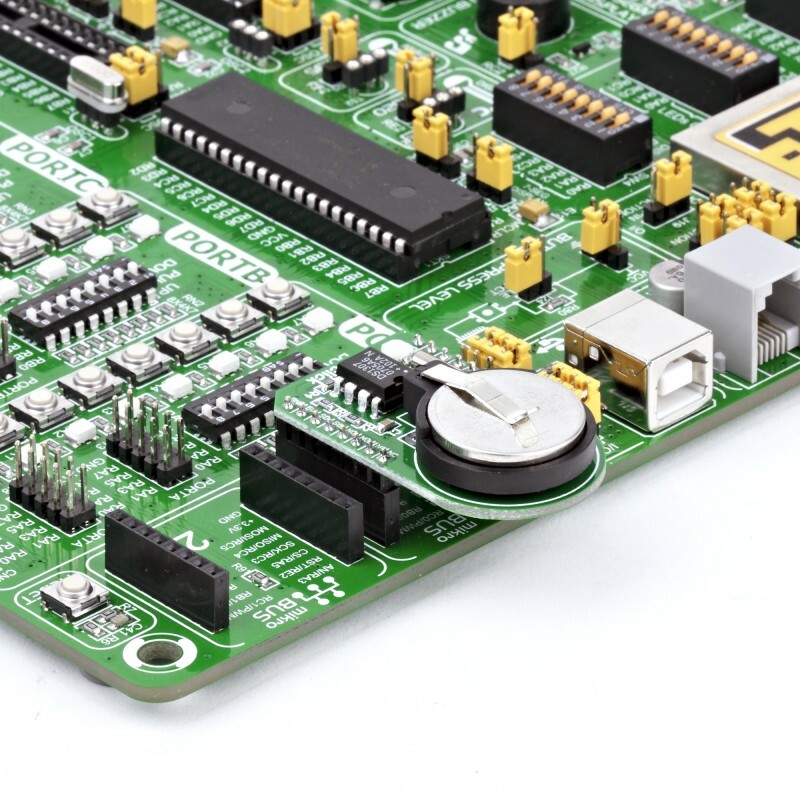 It features the DS1307 serial real-time clock (RTC). It is a low-power, full binary-coded decimal (BCD) clock/calendar with programmable square-wave output signal. 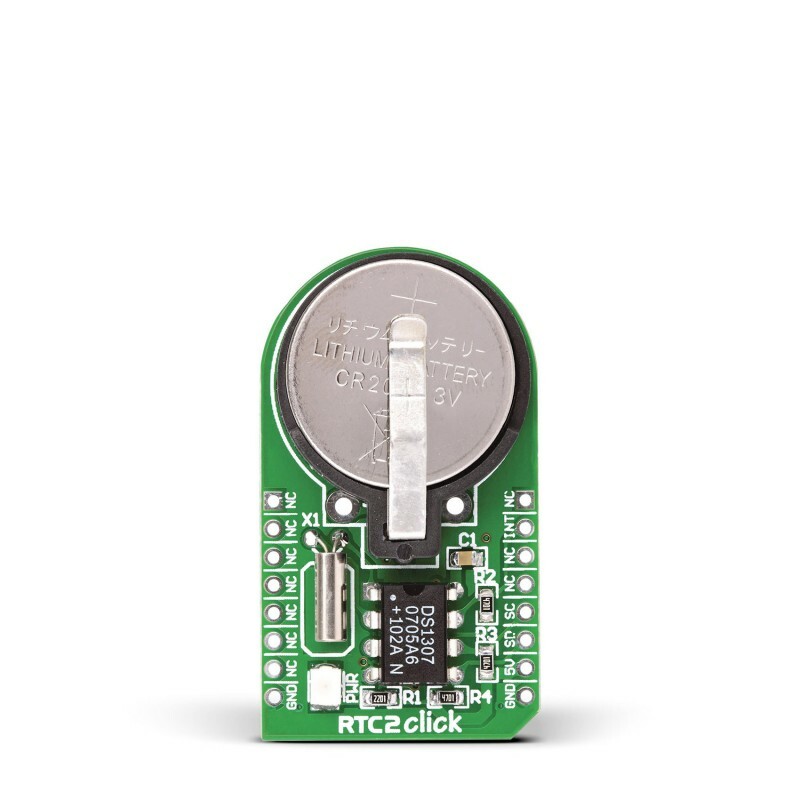 RTC2 Click is an accessory board in mikroBus™ form factor. 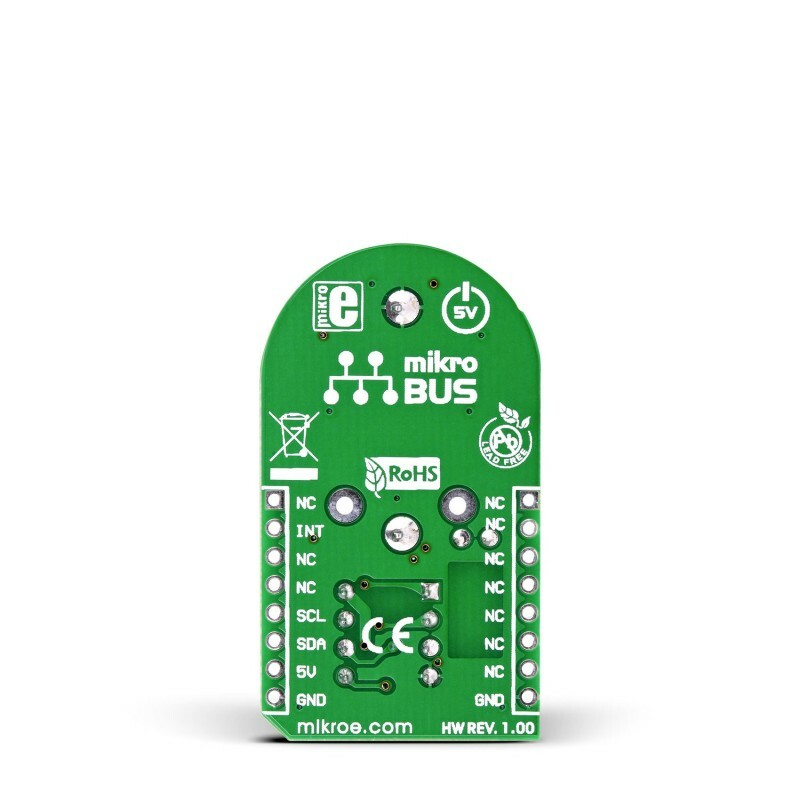 It features the DS1307 serial real-time clock (RTC). It is a low-power, full binary-coded decimal (BCD) clock/calendar with programmable square-wave output signal. Board uses I2C interface for communication, and can only use 5V power supply. 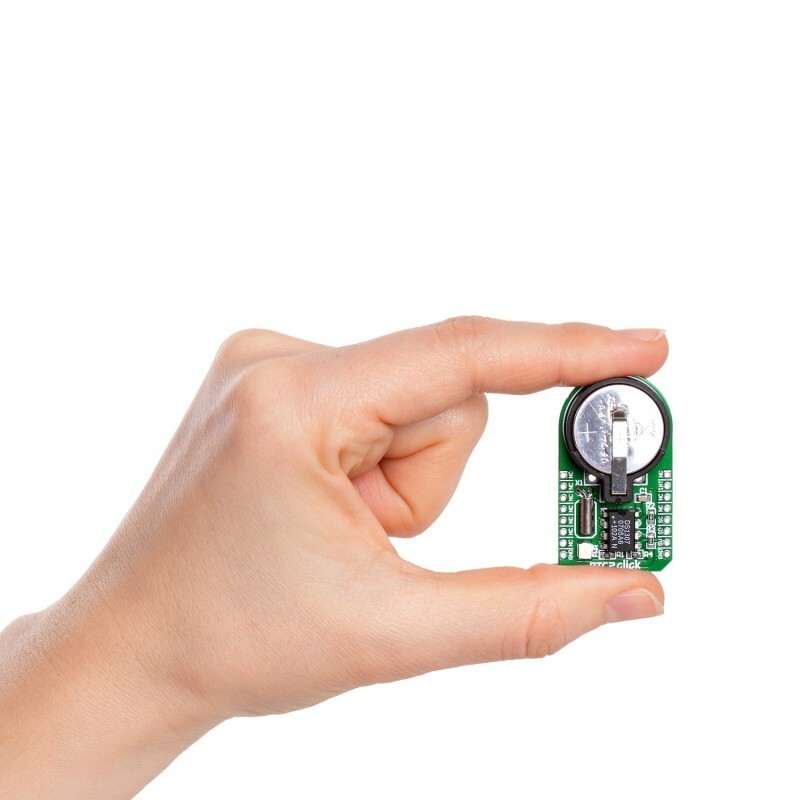 Board features a 3V/230mA lithium battery as a backup power supply which ensures that timekeeping operation continues even when the main power supply goes OFF. Applications Board is ideal for applications which require real-time clocks, calendars and programmed alarms. Key Features Counts Seconds, Minutes, Hours, Date of the Month, Month, Day of the week, and Year with Leap-Year Clock function with four year calendar. Real Time Clocks (RTCs for short) Little attention is payed to the little piece of silicon on your board that is responsible for counting every second of every day. What is taken for granted is the fact that most of your protocols, like tcp, require some reference to time.